This evening Amazon hosted an exclusive screening of American Gods season 2 at the Soho Hotel in London. Georgia Brown, Director of Original TV for Europe at Amazon Studios, welcomed the guests before handing over to the presenter Jamie East for a Q&A. 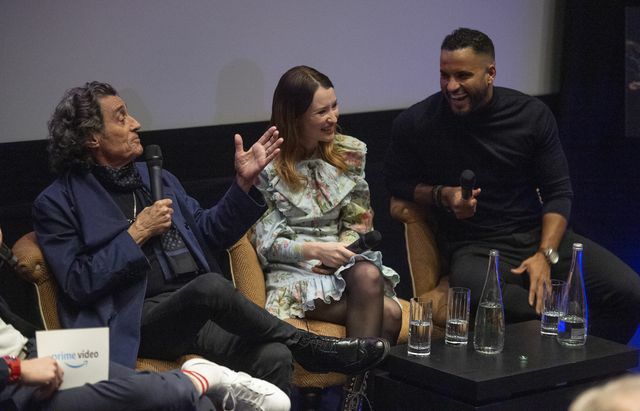 The Q&A featured show stars Ian McShane (Mr Wednesday) Ricky Whittle (Shadow Moon) and Emily Browning (Laura Moon). American Gods season 2 launches on 11th March 2019. Ricky Whittle (on getting into shape for the role) “It’s really tough because everyone else goes home and learns their lines. I have to do that, but I also have to hit the gym, maintain a certain amount of calories…[Ian McShane starts snoring for comic effect]”. Ian McShane (on what sets American Gods apart from other shows) “Gaiman’s writing in this thing is like magic metamorphasised. American Gods is a complicated show”. American Gods is available exclusively on Amazon Prime Video. Sign-up for a free 30-day Amazon Prime Video trial.